All-new for 2018, the Audi Q5 and SQ5 enter their second generation with added power, higher efficiency, a tailored new suit and even more brains. Among competitors like the Mercedes-Benz GLC and BMW X3, the Q5 stands out with its blend of performance, comfort and capability. Throw in an impressive roster of standard safety features, and the Q5's star shines even brighter. Nice exterior. Good interior. Good radio. I really like driving this car however there are a few kinks. For instance, when I am driving to school on a rainy or snowy day, I tend to have trouble with the steering because it is hard to drive in the snow or rain. Sometimes when I drive to work or school, I feel like I can easily lose control of my vehicle and there was one time when I almost got into an accident because I was texting with the feature on the dashboard and it wasn't working and so my eyes were off the road for too long and therefore I almost crashed into a truck and almost ran into a cafe where they sell my favorite coffee. I hope you enjoyed my review. Besides these few things I really do enjoy this car because its super pretty and it makes me look really hot. The tailgate can be adjusted to my height and can be closed by pressing a button. I just bought six months ago and have no complaints. Love it is performance, safety features, user friendly dashboard and many more. The sound system is superior over what I had in my Mercedes that I had. I also love the vast sunroof my car has. The navigation is also very helpful. The carplay feature is awesome. I can connect my iphone and have my siri do everything I want bearing safety in mind. GREAT PRICE, AND LOOKS EXPENSIVE!!!!! RUNS PERFECTLY BUT NEEDS BETTER FUEL EFFICIENCY!!!!! ALL IN ALL A GREAT INVESTMENT!!!!! This car is gorgeous. I love how it drives and brakes and the technology is the best! HOWEVER, the gas mileage averages ~20 mpg and there is a clicking under the gas pedal at 25 mph. Between stop signs, red lights, and traffic, it makes my teeth grind every time because it's constant in traffic. It seems to be worse on some days. Audi says there will be a fix pushed out to the vehicles. 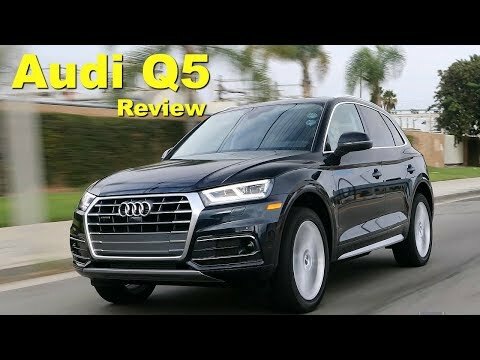 2018 Audi Q5 Review and Road Test DETAILED in 4K UHD! Volkswagen Group of America, Inc. (Volkswagen) is recalling certain model year 2017 Audi A7, A4, A6, Volkswagen Golf and Tiguan vehicles and 2016 Volkswagen e-Golf vehicles for driver frontal air bags, passenger frontal air bags or head air bags that may not deploy properly. Additionally, certain 2017 Audi Q7, A4 Sedan, A4 Allroad, and 2018 Audi Q5 vehicles are being recalled because the seat belt pretensioners may not activate properly. In the event of a crash, if the air bags and/or the seat belt pretensioners do not inflate or function properly, the vehicle occupants have an increased risk of injury. Volkswagen and Audi will notify owners, and dealers will replace the affected air bags and seat belt pretensioners, free of charge. The recall began April 2017. Owners may contact Volkswagen customer service at 1-800-893-5298 or Audi customer service at 1-800-253-2834. Volkswagen Group of America, Inc. (Volkswagen) is recalling certain 2018 Volkswagen Atlas, Passat, Beetle, Beetle Convertible, Golf, Golf SportWagen and GTI and Audi Q5 and SQ5 vehicles. The brake caliper pistons on these vehicles may have insufficient coating, potentially reducing the brake performance. Volkswagen and Audi will notify their owners. Audi dealers will bleed the rear brakes. Volkswagen dealers will bleed the front and rear brake calipers. Note: Owners are advised not to drive their vehicles until the brake system has been checked. The recall began June 29, 2018. Owners may contact Volkswagen customer service at 1-800-893-5298 and Audi customer service at 1-800-253-2834. Volkswagen's numbers for this recall are 47N8, 47N9, and 47N6.